Soliloquy was written as a set of "meditation" pieces that are designed to put the listener into a relaxed, contemplative state of mind. The music isn't cheerful or happy, but rather overcast and melancholy. Each of the works in the collection is designed to evoke a sort of "down the hall" feeling as if you're listening to the music from another room. This technique offers a sort of isolation and loneliness that can't be captured with up-close and personal recording techniques. The music in this release is best thought of as a drizzly, rainy day. The supple melodic lines and effervescent harmonies bubble just below the surface. Through repeated listenings, you'll begin to enjoy a deeper and more insightful experience. These compositions are designed to take you out of yourself and guide you through a journey deep into your psyche. They require several listenings to appreciate, but those who put in the effort are rewarded with music that changes and brings on new dimensions with each listening. The release begins with a drowning and ends with an entrance to a new world. The initial piece is based on the legend of La Llorona. She's known in many ways throughout the world, but the most popular version is one where she's betrayed by her lover and out of anger and a moment of madness drowns her children. This is how the album begins, and it brings us deeper into the depths of despair as the album continues. You can actually hear the waves rushing over her children as the piece picks up its pace and culminates in a final, panicked and mournful song as La Llorona wakes and realizes what she's done. "Chilled" continues the saga with a piece that is plastered in cold hard metal. The flute, operating on its own is now reflecting on things beyond our understanding. The mysterious things that keep us up late at night, and make us worry about our health during the days. It's short-lived, as we push these thoughts beneath the surface and "burn" such depressing thoughts into the depths of our minds. "Burned" follows with a whimsical, but always dark, an impression of the ascent from these deeper thoughts. It's lighter in nature, and it seems to be made of sticks and wooden things that are found in the forests of the world. It's a clean piece that is designed to bring us up before sleep attacks us again. "Queen Mab" enters. She invades our dreams and directs our thoughts to the trickster inside us all. As she boards her chariot and swoops into the night, our dreams are overrun by the things that are affecting us most. The time for dreams is the time for rest, but with "Queen Mab," there is little respite from the darkness of this album. We're now lost in the forest, but the forest is not dangerous. We relax and gain our bearings as we look at the various trees and think about how each tree has its own distinct place in the world -- perhaps a metaphor for our own lives. "406" is the return home. This clown-like, cyclical collection of works twirls around a central idea. We're left without our bearings, and we begin to realize this album was the just the beginning of an epic cycle that takes us through life, follows us, and doesn't let us go until the very end. It's at this moment we see "The Key." It's the sounds we hear at night when the insects begin making their music. The crickets outside, the wind in the trees and everything else that lets us know the night is upon us. The entire piece was created using the sound of a scratching key, and it provides a clue to the continuation of the album and what to expect in the future. As we walk through the narrow corridor that the door opens, things become increasing uncomfortable and stifled. Relief never comes, as we attempt to walk through the dark corridors -- if only there was light to discern the way. The Elements of Music Composition serves as a reference for all of the other courses we offer. You'll learn how elements and cornerstones in music work together and build an organic music composition. 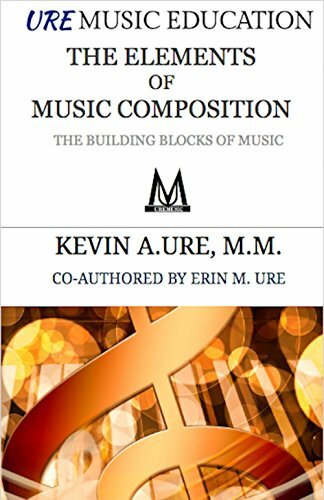 This book supplements the Technique Builder and the Craft of Music Composition series. Directed towards musicians who have some understanding of music theory and composing but lack formal training in music composition, this book deconstructs the dogma associated with the seemingly impenetrable art of music composition. Composers are taught the concept of organic music and begin to develop an understanding of how coherence and comprehensibility play a major role in the creation of musical works. Music theory fails to account for an individual's capacity to experience beauty and emotion in a musical work, and it only teaches a composer to replicate an established style. While music theory won't teach you to think about composing like one of the masters, it's still important for composers to study music theory to gain exposure to the techniques developed by the master composers of the past. Music theory is an excellent training tool, but the composer who wants to go beyond the ordinary must dissect the composing process and reveal its mysteries. While student composers need to learn established systems of music theory and composition, systems should be abandoned when it comes time to compose authentic works of art. This text details the elements of a musical work and describes how a composer uses melody, harmony, form, orchestration, and timbre using a connected process where every element contributes to the composition and serves a role. Composers will not complete exercises, improve technique, or learn the typical concepts addressed in your average music composition course. This text aims to get deep inside the process of composing to reveal fundamental principles that apply to several musical styles. Generic exercises that instruct a composer to create a melody on an established chord progression, fix voice leading errors, and create modulations to scripted keys do not promote original thought. Composers must be taught the principles behind the theories to understand how to compose original music that stems from a deep understanding of the nature of music. Learn to compose music not through the study of other composers theories, but through universal principles that apply to musical works. The best composers in history learned to write music by following in the footsteps of those who came before. Composers created music based on principles of voice leading and counterpoint before the advent of music theory. Beethoven was notorious for carefully working out counterpoint exercises, and he went to great lengths to ensure his exercises followed the proper procedures. Mozart used counterpoint to teach his own students. This book teaches you the basic underlying principles of music composition so you can create effective musical works based on sound principles of music composition. Fall is one of my favorite times of the year. As the season's change and milder, cool weather sweeps across the country, I find myself entering a contemplative period in my composing routine. Bob Brewer (Is that really his name? Because if so, that’s just amazing), recently wrote an article on Pumpkin beer brewing techniques. This quote got me thinking about music and how modern composers are essentially writing pumpkin music. There is a sound in the classical music world that is all the rage right now. It’s characterized by dissonance, intentional structures, and highly-regimented forms. While this is nothing new in music, the sheer volume of music composed in this manner strikes me as somewhat disingenuous. Composers have collectively picked up the beat of the modern music drum and charged forward writing a very specific style of music while patting any composer who does the same on the back, which provides encouragement and just makes the pumpkin music catch fire and spread. I’m not anti-dissonance in music, but I am against abandoning general music principles that are both scientifically and aesthetically pleasing. The overtone series is something that can be clearly heard every time you pick up a brass instrument and play without using any valves, the string instrument that is proportionally divided to produce harmonics produces evidence clear as day, and the piano whose strings vibrate in resonance to a fundamental that is hammered out while holding down the well-established notes of the overtone series. Dissonance is wonderful, but even today, after composers have long abandoned the general concept of 12-tone music as a valid stylistic choice, we’ve gone to a point of anti-tonality. Creating something new doesn’t require the obliteration of 400 years of classical musical harmony. There is another way, but it’s more difficult than simply avoiding a tonal center and choosing dissonance and obfuscation of a key over real musical progress and development. Schoenberg did a wonderful thing for music. His music and disciples were instrumental in abolishing the prejudice towards dissonance. Music has always used dissonance, but it’s been approached with apprehension and in a way that causes as little “harm” as possible. Now, as composers can freely embrace dissonance, modern music is finally in its young adult years. We’ve gotten out on our own and we are now free so that we can experience life to the fullest, and excess, without worrying about the ramifications of their actions. In short, in the newfound freedom with dissonance and a desire to create music that is new, we’ve limited ourselves as composers. We’ve essentially quarantined our past musical experience and traveled into unknown territory seemingly as if the “old rules” served only as a training tool with no relevance or place in modern music. Bob Brewer notes that pumpkins grow easily most anywhere. Well, dissonance can be added easily most anywhere, too. If you want to insert a minor second in that chord, why not? But, there isn’t much difference at that point between a minor second and a tritone. If you can use a minor second at will, then you should be able to use any other pitch as well. But, composers know the reality is different. The ear is actually more forgiving of dissonance when it’s used as the main sonic material in a composition. As you start to move back to the pitches we used in tonal music, suddenly, the music is less forgiving. Simply put, if the music is tonal, it’s hard to add dissonance. If the music is not tonal, dissonance runs amok and brief moments of consonance are tolerated. So, why could this be? Why is it that dissonances are more forgiving than consonances? Could it be that they occur much further on in the overtone series and because of this, the pitches are further away from home? Just as the young adult who leaves the house is no longer under the thumb of the parents, the outliers in the musical scale are so far away from the fundamental tone that they no longer need to follow the order of the house. Eventually, with enough time away, the wisdom of some of those early rules begins to become clear to the young adult as life encroaches and teaches its lessons. As this applies to modern music, it’s time we recognize as a group that the old ways are not completely invalid. I’m not suggesting a return to tonality. The concept of tonality is severely limiting, and I also believe it’s flawed at its core. In the overtone series, the fundamental occurs the most number of times. That makes it the most powerful note in the series. The second most commonly occurring note is the perfect fifth. So, it makes a lot of sense that the perfect fifth and the V-I progression in music would be such important elements in music. However, just because the second most prominent chord in the overtone series if the fifth, doesn’t mean that it should also be a part of the most powerful cadence in music. The error in our thinking as composers in the past was that the V chord was an effective cadence because the root starts on the second overtone of the I chord. Just like pumpkin, consonant intervals are clear, unobstructed, and frankly, tasteless intervals that seem to be the perfect food for a well-written composition. Consonant intervals match the overtone series, they follow the Rule of 8 in which any two notes within an interval of an octave that have matching harmonics are considered consonant. But, this doesn’t mean they are the best chords (and certainly they aren’t the only chords) that offer profound resolutions and resonances. Simply drifting away from the treasures provided by the powerful resonances of the overtone series by moving to the most far-away tones in the series is not the path that I wish to take as a composer. I prefer to learn from the music of the past and re-evaluate the manner in which music developed to arrive at a new structural system of tonality. I’m not a neophyte to music theory. I understand the theories, techniques, and methods for composing new music. Our modern ideas are based on strong theories and applications, but the flaw is in thinking that any system is ever a “preferred” system. Even my contention that classical music got it wrong isn’t fair and it isn’t even all that accurate. What is accurate is my further point, namely, that there are other ways of interpreting the overtone series and how it relates to music. It’s a fact that the second overtone in the overtone series does have a naturally strong relation to the fundamental, and it’s powerful in that it is repeated so many time and creates good resonance. It’s less of a fact that other chords in the tonal system are strongly related chords simply because they are distant relatives of the fundamental tone in some way. If we’re being truthful, most people would agree that when you play a C to G, there doesn’t appear to be any great inclination to move anywhere. As with anything in life, without a catalyst to push you to get off that couch and do something, you’ll prefer to stay put. The V chord stays put, and only with great and crude force does it ever consider moving. It’s content. It’s consonant. It’s sitting comfortable on the shoulders of the I chord, and why should it move? It’s being completely supported by the I. Now, the tritone and the seventh? Those two pitches have intention inherent in their relationships. You play a C to F# or a C to B and you simply have to go somewhere from there. For my money, that’s a far more powerful interval than the fifth, regardless of the level of dissonance or consonance. My belief is that it’s not enough to simply write melodies that sound interesting, that are new, or that are pleasing to the ear. The intervals and chords that support those melodies also have to have substance to them. I’ve discovered a structural system that works for me and that moves the system of tonal harmony into a modern period that rings true for me. It’s up to you to resist the rage of pumpkin music, not simply do what’s popular, and find the musical system that resonates with you. If you can’t find that resonance, then it’s time to dig deeper and create something new. I’ll take the treat over the trick of various techniques that produce new sounds without a structural foundation any day. As we celebrate a holiday that seems to have evolved, at least in part, from the practice of visiting relatives on the eve of All Saints Day, let’s also take a moment to delve into the music of the past, and realize that these composers are also relatives of our modern music. If there isn’t much of a resemblance, it’s time to consider that maybe we missed something. Like pumpkins, advanced music techniques are plentiful and cheap, but does that mean we have to use them even if you have to spice them up with sugar, nutmeg, spices, and all the others things that put the “spice” in pumpkin spice? When the link between modern music and our ancestors is limited to a seven-letter brew of notes, it’s time to start thinking more about the base that we’re going to use to make our brews palatable. Without the allspice, cinnamon, clove, vanilla, ginger, and other spices, pumpkin beer would be an unpalatable mess. Likewise, without the 2nd and 7th scale degree in the V chord, there would be little interest in the dominant (V) chord. Let’s not write modern music simply for the sake of creating something novel, let’s actually create something new that is based on the hundreds of years’ of music, theory, and advancements that have made western music such a powerfully emotional, cathartic, entertaining, and philosophical force that represents an admirable achievement in human history. It’s time to differentiate between that which is unique, novel, and frankly, gimmicky, and that which is truly new. While brilliant music has been written in the last 100 years, it’s important to also realize that composers, on the whole, have chosen to isolate themselves from their predecessors, and the result can often be deadly scary. There is a veritable cornucopia of music that stems from traditions and long histories of style. As far back as one goes in the history of composing there have always been innovations, albeit slow. Our own western musical traditions have given us many examples of venerable music, and I’m merely suggesting we forge on while keeping in mind that tonal music was a stalwart for hundreds of years. The music wasn’t perfect, but nothing in music is ever perfect. Composers have an anything goes mentality. I’m merely suggesting that composers keep in mind that there is such a thing as bad taste and some musical choices are better than others.